After serving up wine for over 12 years in downtown Dayton, The Wine Gallery at 5 West Monument Ave will have it’s final goodbye today from 4-7pm. It’s a chance for last minute shopping and to say final goodbye’s to Brian, Lisa, Liza and Mat. All bottles over $100 each are priced at 40% off the original price. All bottles from France, Italy, Spain, Eastern Europe, Chile and Argentina are priced at 60% off!! All other bottles are half priced. And to make your shopping more enjoyable, I will be pouring tastes of Heidi Barrett’s ‘La Sirena’ 2003 Cabernet Sauvignon, 2004 Clarendon Hill Syrah, 2010 Jack Brooks Vineyard Cabernet Sauvignon and 2005 Martinelli Russian River Valley Syrah for $5 each! These bottles range from $50 to $130 each! Stop in for one last goodbye before we box up the remaining wines and close the doors on The Wine Gallery for the very last time. I’m ready for another great week…and the official kick-off to “Fish Fry Season” this Friday! If you don’t like fish, don’t worry, as there are plenty of other options as well! 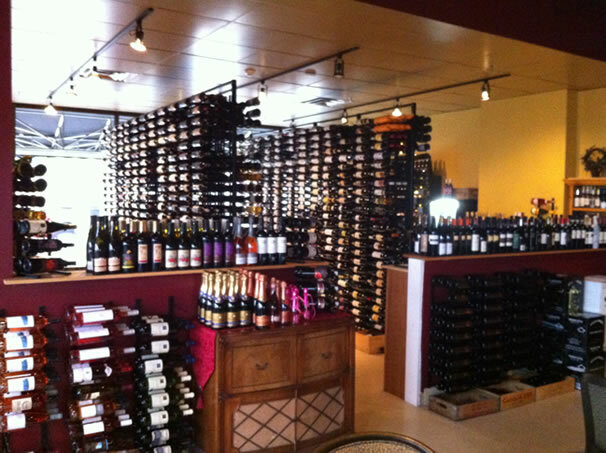 On Wednesday, head to The Wine Gallery for their Weekly Wine Tasting. Wear your Flyer gear and head to the UD Arena to watch UD play St. Joseph’s. If you like live music, watch Frozen Feet (which is probably pretty accurate this time of year) at Oregon Express or check out the Old Time Acoustic Jam at The Trolley Stop. Oh…and if you’re like me and kill every plant you come in contact with, get some good plant advice at Cox Arboretum for Lunch and Learn: Fool Proof Plants. On Thursday, be one of the first 50 customers at PNC 2nd Street Market for their Customer Appreciation Days in order to receive a gift. While there, enjoy musical entertainment and also participate in their Winter Flower Arranging. Help out 4 Paws for Ability, a wonderful charity that helps people with disabilities by attending their Charity Quarter Auction at the American Legion. If you love acoustic music, head to Dublin Pub to see Nick Mitchell perform. It’s cold outside so go INTO Victoria Theatre for Into the Woods. And finally, I’d love to see you at The Wine Loft for Generation Dayton’s Thirsty Thursday! Plus, you’ll have a chance to win a Wine Loft gift card! On Friday, again head to PNC 2nd Street Market for one of their Customer Appreciation Days and their Winter Flower Arranging. I know this is DaytonMostMetro.com, but if you’re feeling like doing a little traveling, I’ll give you the okay just this once to go to Cincinnati for The 53rd Annual Cincinnati Travel, Sports & Boat Show. If you are in the advertising industry, head to Brixx for their Hermes Call for Entries & Happy Hour. While you’re downtown, brave the elements by attending the Star-Late Skate at RiverScape. Or attend At the Movies with Rodgers & Hammerstein at the Schuster Center, Into the Woods presented by Muse Machine at Victoria Theatre, or Ravenscroft at Dayton Theatre Guild. And finally, help kick-off fish fry season by attending the Holy Angels Fish Fry and Silent Auction! On Saturday, head to Spinoza’s for their Yeti Beer Breakfast!, where they will also have live jazz music. What a great way to start your Saturday! You can continue the eating out tradition for the day by attending the Wine Luncheon at Jay’s Seafood…which is absolutely delicious! Up in Yellow Springs, head to their Winter Farmer’s Market. Over at another kind of market, the PNC 2nd Street Market, bring the kids and participate in their Winter Family Fun Day. If you really should be working on that next house project, head to the Miami Valley Home Improvement Show for some great ideas! Give your skating skills a try as part of Ice Skating with Generation Dayton. Don’t worry, if you fall…I mean when you fall…you’ll be in great company! For some theater action, get tickets to see Into the Woods at Victoria Theatre, Ravenscroft at Dayton Theatre Guild, At the Movies with Rodgers & Hammerstein at the Schuster Center, or Justin & Ryan: A Night of Improv, which is also at the Schuster Center. Help the Cystic Fibrosis Foundation by attending the Let it Breathe Wine Opener at Taj Ma Garaj. Or head over to Blind Bob’s for the North Main Flower Man Benefit, which will feature several bands. Why not party AND support a good cause?!?! On Sunday, head over to Books & Co. for their Second Sunday Free Writers’ Workshop. If you’re feeling like life is a little too hectic and would like to hit the pause button, just head over to Pause to Ponder at Gallery St. John to see photographs of scenes from Dayton. Or see A Student of People Exhibit, which is an exhibit featuring people from different walks of life. If you still haven’t made it to the Miami Valley Home Improvement Show, make your way there to get some fantastic ideas for your home. Love prime rib? Treat yourself and perhaps someone else (if you’re really nice) by heading over to Fleming’s for their Prime Rib Dinner, which is featured at the special price of $29.95. If you would like to catch a show, see Into the Woods at the Victoria Theatre or Ravenscroft at the Dayton Theatre Guild. And if your taste in music is rather eclectic, definitely check out 3 Mo’ Divas at the Schuster Center…which sounds like it will be a great performance! “These are just a few best bets from the DMM Calendar. There are plenty more events listed there, so if you haven’t, I encourage you to check it out today! Also, if you have an event to share or promote, please submit it– it’s great marketing and better yet, it’s FREE! And finally, if you have a dumb joke to share, I’m all ears!